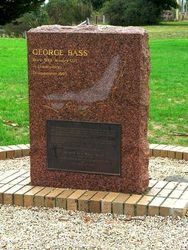 The memorial stone commemorates the visit by naval surgeon and explorer, George Bass, and his party of six who landed near Bass in January 1798. The reverse of the stone is a memorial to the pioneering Anderson brothers. Bass and his party were in search of fresh water after their voyage in an open whale boat which they rowed from Port Jackson in Sydney. Born 30th January 1771 in Lincolnshire. 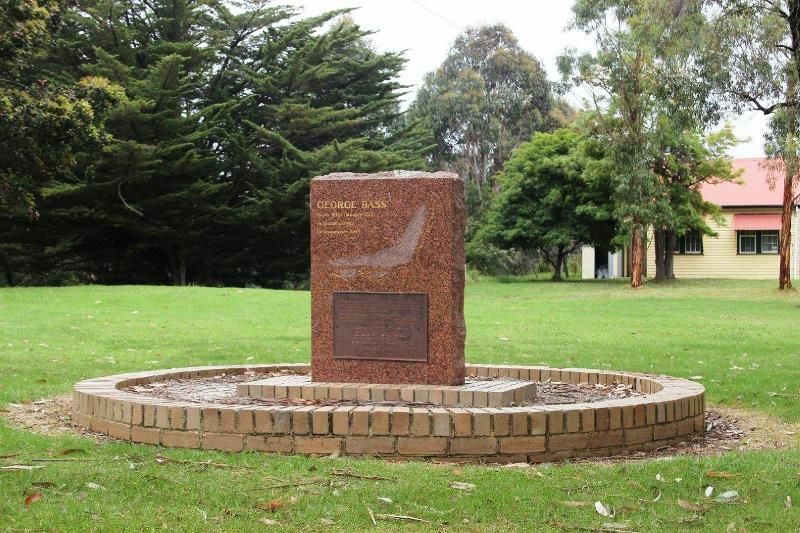 This memorial commemorates the visit by Surgeon George Bass and his party of six who landed near this place on January 4th, 1798, in search of fresh water after a voyage in an open whale-boat from Port Jackson, Sydney. Bass named the bay he had entered Western Port as the most westerly harbour he reached in the strait which was later to bear his name.